F. & J. Tempelaere, Paris. Stoppenbach & Delestre, London, 1989. Madame Fantin-Latour, Catalogue de l'Oeuvre Complet de Henri Fantin-Latour, Paris, 1936, p. 213, no. 1990. London, Stoppenbach & Delestre, French 19th & 20th Century Paintings, 29 Nov.-12 Jan. 1989-90, no. 8. Japan, Utsunomiya Museum of Art, Fantin-Latour, 23 Sept.-8 Nov. 1998, no. 55. 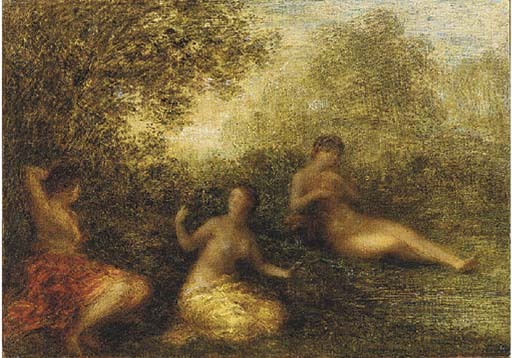 This painting will be included in the catalogue raisonné of Fantin-Latour's paintings and pastels now in preparation by Galerie Brame & Lorenceau.